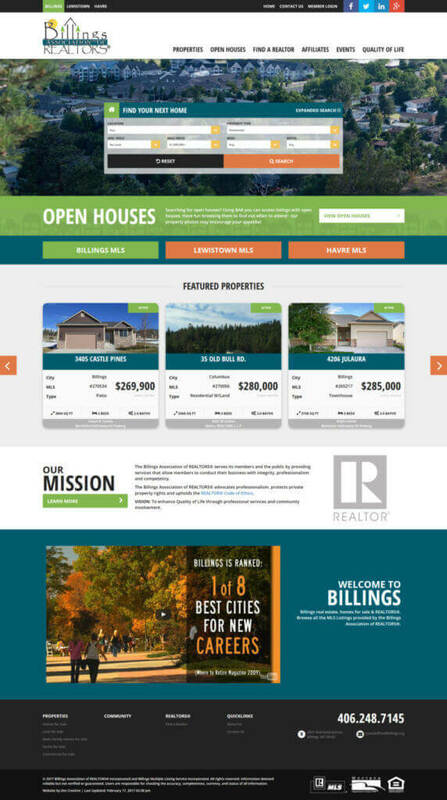 List properties & open houses, add agent information, and more with this custom design for real estate businesses. A beautiful website with a robust property search system can make the difference between a client choosing your agency, or moving on to the next. 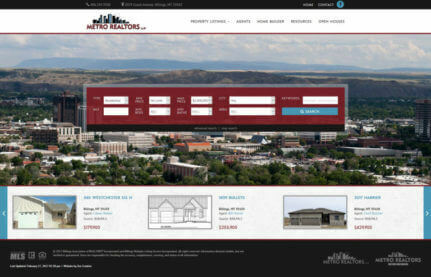 These custom websites include all the features that a real estate agent or agency typically needs. List your properties on your website, either by using Zee Creative’s custom RETS feed pulls, or by entering listings manually (for non-MLS-listed properties). Site visitors can sort & search these available properties for a simpler shopping experience. Other industry-specific features include custom agent listings, featured properties, open house listings, and more. And it can all be edited via the WordPress CMS, without any prior coding knowledge. Zee Creative’s Custom RETS Feed Service: We pull raw property data multiple times a day for your properties. Each site can display the data in a unique fashion giving you virtually unlimited potential for an original presentation and a custom look that separates you from the competition. Advanced Property Search: Let users sort and search by location, price, features, or other parameters. Property Listings with Detail View: Individual pages for each property display images & property details in a custom layout. 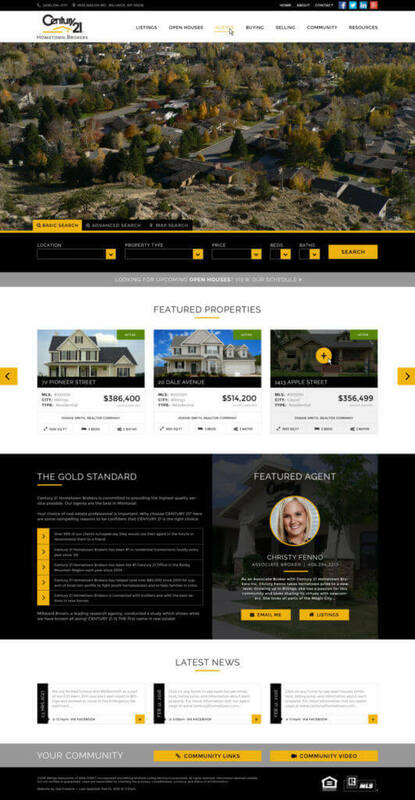 Featured Properties on Home Page: Select properties to highlight on your home page. Open Houses: List upcoming open houses for potential buyers to browse. 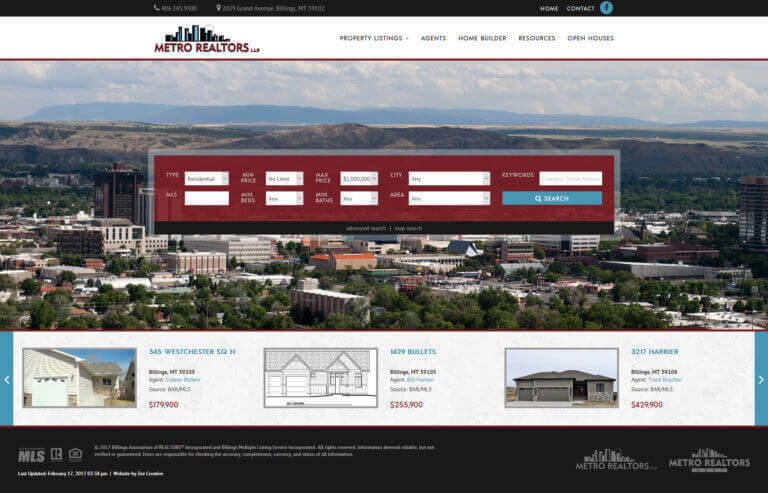 Optional Custom Property Listings: Manually enter information for properties which are not listed in an MLS. Agent Pages: Specially formatted agent pages with photo, name, phone, email, and bio. Map Search: Allows users to view properties on a map. Testimonials: Displays client testimonials in a custom format. Custom Design: We create a unique, mobile-friendly design for your organization. Your site can stick closely to our default design, or we can create something totally new! Optional Social Media Feeds: Displays your recent Facebook posts, Instagram photos, or Tweets in a custom format that complements your site’s design.